MP Voytsytska complained to the Prosecutor-General's Office against Andriy Kobolyev. 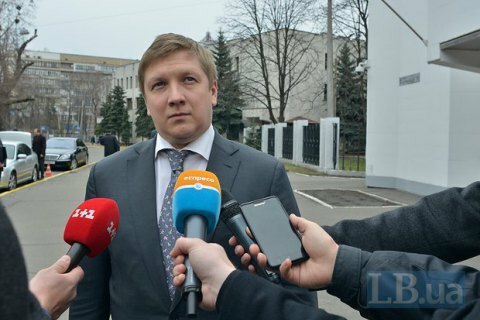 The main investigations department of the Prosecutor-General's Office of Ukraine has opened criminal proceedings against the chairman of the national oil and gas company Naftohaz Ukrayiny, Andriy Kobolyev, after MP Viktoriya Voytsytska complained about him, she has said on Facebook. She suspects Kobolyev, who is also the supervisory board chairman of the Ukrnafta oil company, of office negligence. In her opinion, Kobolyev is to blame for the company's growing tax arrears. She also said Kobolyev failed to implement his duties as, she believes, he should have dismissed Ukrnafta's board members associated with Privat Group. The PGO launched a pre-trial investigation based on her complaint.